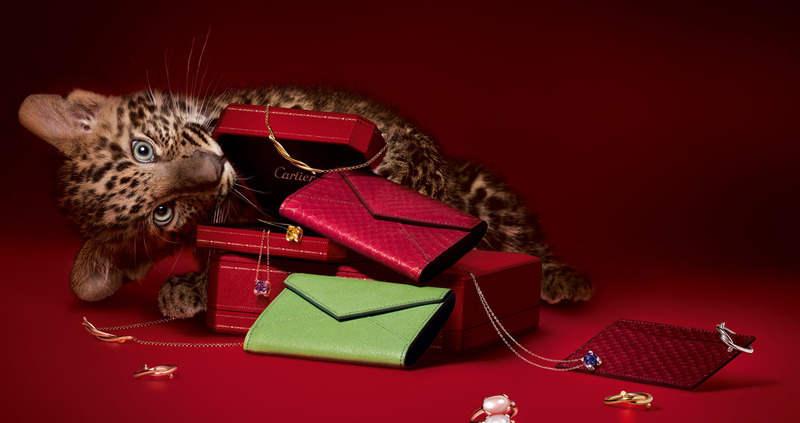 In a (good) way you could call Cartier relentless, with a constant desire to go further. 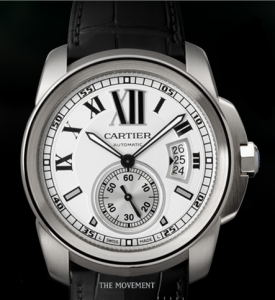 It’s not long after the latest unveil before you see yet another new Cartier timepiece in one of their collections. They strive to create and design the best of the best and luckily for watch wearers worldwide, they accomplish just that. The Calibre de Cartier Collection is equipped with the new 1904 MC Manufacture Cartier movement and is a successful blend of technology and esthetics. Cartier threw out the old and traditional reversers used in self-winding mechanisms and replaced them with an innovative pawl system, resulting in a faster winding rate and allowing the watch to be wound much more easily. Cartier has also abandoned the traditional reversers used in self-winding mechanisms, replacing them with an even more state-of-the-art pawl system that results in a faster winding rate, thus allowing the watch to be wound more easily. The W7100013 Calibre de Cartier Men’s Watch is a sporty and masculine example of Cartier perfection. This watch is set in a steel case with a heptagonal crown set and a blue synthetic faceted spinel. The black transferred Roman numerals are placed on the silvered and snailed opaline dial. Hovering over the hour and minute markers are luminescent sword-shaped black oxidized-steel hands. Protecting the watch from scratches over the years is a scratch-resistant sapphire crystal. The three o’clock hour spot displays the calendar date window. The strap is black alligator with a steel double adjustable deployant buckle. When wearing this watch on your wrist, a bi-directional winding system enables the oscillating weight to wind the movement as it rotates both clockwise and anti-clockwise. It features a small seconds dial on the middle, lower-half of the face. The case is 42mm in diameter and is 14mm thick. It contains 186 components, 27 jewels and has a power reserve of approx. 48 hours. The W7100013 Calibre de Cartier Men’s Watch is also water resistant in up to 100 feet. This Cartier watch is available for $6,500 on the Cartier website or one of many Cartier boutiques. Spectacular piece. I enjoyed how the article oscillated between the look and functionality of the product.